Last Photo as a 9 year old! Tomorrow Michael, our first baby, turns 10…. Today we threw a Birthday Party for him. He wanted a backyard pool party and that is what he got. There were 13 kids here, including our 3, splashing, giggling, screaming, chasing, playing and laughing. The party could not have gone better. Everyone had fun, especially the birthday boy. After the gift bags were handed out and all the friends had gone home, Beth gave Michael her gift to him. He unwrapped and was so excited. She made him a Super Hero Pow! tie blanket that he now calls his “onomatopoeia blanket” He has had it wrapped around him all night. Tim made homemade pizzas and we ate curled up in front of The Incredibles (Michael’s pick – he was feeling “like a Super Hero movie would be a good fit for the day”) And after pizza we made ice cream sundaes. In between pizza and ice cream, I asked Michael to step out on the deck for his “Last photo as a 9-year-old.” He said, “Should I stand in the corner of the deck like the other times?” and he walked over to the corner and gave me a smile. Then he asked, “Maybe can we take a photo with the pool in the background since my birthday party was today and it was so much fun? !” Of course I obliged. He gave me that smile and it melted my heart. It reminded me of little 5 year old Michael. And seconds later I took this photo… I swear in those seconds he turned 10 years old. When did he grow up?! Michael and I went back inside after high-fiving over his last photo as a 9-year-old and made ice cream sundaes. We took them down stairs and watched the rest of the movie as a family. I swear I didn’t plan this. As I am writing this, I am looking back at old photos for a baby photo to insert into this post…. and I realized symmetry of this birthday and his first. And he was surrounded by those who loved him. And he ate a blue frosted cake. And tomorrow he turns 10…. Patrick is 7 and he had an awesome birthday party! My baby boy turns seven in just a few hours. 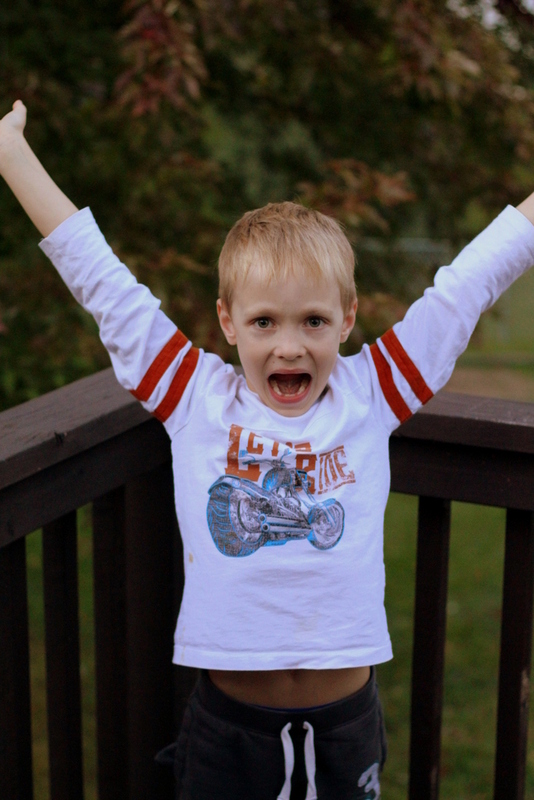 I didn’t think to shoot a few photos of my six year old until the sun was well past the golden hour of beautiful lighting but I did get a couple shots of him expressing his joy of his birthday. If you look past the bad lighting and grainy-ness of the photos you will see joy. 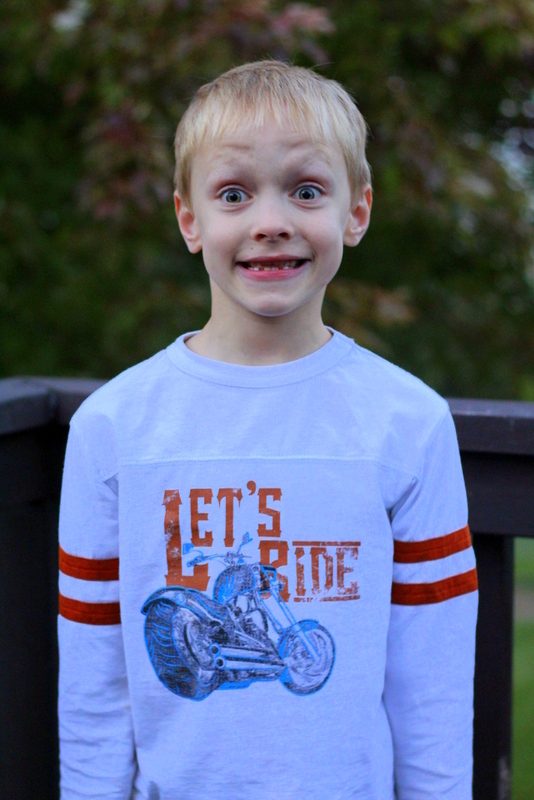 This boy is STOKED to be seven years old. This little lady turned four!